Aside from endodontic therapy or root canal, a more commonly offered service by dentists is the dental fixed bridge or most often referred to as jackets. These are a substitute to dentures which are only temporary and sometimes worn with the aid of a specific product which acts as glue that lasts for a few hours. Bridges or jackets on the other hand offer a more permanent solution to missing teeth. In fact, these are designed to last for years depending on personal care practices. For more information on this type of dental procedure, please refer to the Q & A below using the same pattern used in the previous post. A: Based on collective ideas mentioned above, a bridge or also called fixed partial denture is one of the dental restoration procedures which aim to replace missing teeth by connecting dental implants to nearby teeth. Q: Who should avail of this option? A: If you are not comfortable wearing dentures, then this option is for you. But it’s only applicable if there are still actual remaining enamels which will act as base where the implants are to be attached to. A: It can’t be completed during a single session alone. It starts with preparing the entire teeth by cleaning. Then, the affected teeth are scraped into a vampire like fang shaped one. Your teeth will remain thus until the fixed bridge is ready to be attached. During the same session or it can be postponed towards the next, the size of the dental implants will be measured through a mold. This will then be submitted to a separate service which specifically designs, prepares, and creates the actual bridge. It will take about 5-7 days to do so but you may request to speed up the process down to 3 days by paying an additional fee. Once the bridge is ready, it will be finally connected to the receiving fangs and attached to the adjacent undamaged tooth. 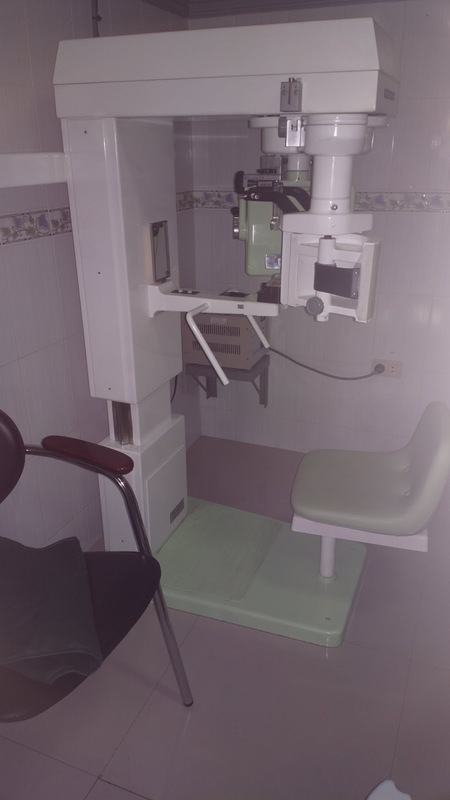 A: This varies depending on the dental clinic where you will avail the service from. Note that the fees for the implants are different from the dental fee you pay for your attending dentist. 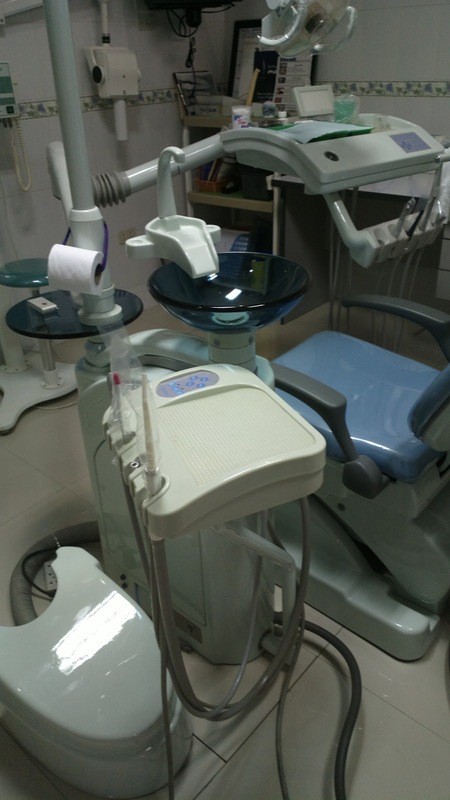 The bridge costs about Php 5,000 or higher for each tooth depending on the type of implant you will choose. There are metal, gold, and porcelain varieties. I chose the latter because it resembles the natural teeth. Q: How do you need to do in preparation for it? A: As mentioned under the procedure Q & A, your teeth will be cleaned first. Other than that, you will only have to prepare your wallet and your will of course. Q: What will you expect from this treatment? A: I mentioned about the vampire-like fang earlier; you would actually have to endure such stature for a few days to as long as a week depending on how long it takes for the implants to be ready. But after everything is done, your teeth will never be the same. It will even be better than your actual original set of teeth. Before I end this post, let me include the information of the dental practitioner who had mine fixed including another recommended dentist who offers services at very affordable rates. I do hope that your questions about dental fixed bridge has been answered by this post but if you have further queries, concerns, comments, and feedback, please do let me know and I’d do my best to address your issues. how long it will take ( from start to finish)? and can 6 straight teeth can be done for fixed bridge denture? It may take hours. I have no idea if 6 teeth will be possible for this so it's best to ask your dentist. pwede bang installment sa fix bridge? Ask your dentist. Baka pwede naman lalo na kung business establishment na tumatanggap ng credit cards yung office ng dentist. Thanks for sharing!It's expensive but it's worth it.I have a plan also for putting jackets on my teeth but i need first an approval from my Dentist Doc Pam from D&P Dental Center (http://www.dentalbracesphilippines.com/) who really take care my teeth from the start my age 12 and until I am at age 24 now. hope to see more like this post soon so that many of us have an idea about our Dental Care..
You're welcome. Mine is not perfect but I try my best to do better now than when I was younger when most of my teeth had fillings due to cavities. Yikes! Hi,i would just like to inquire around how much it would cost me for a porcelain fixed bridge if i lost my upper right central incisor and upper left lateral incisor? Hello, would you know the lifespan of that implant teeth? years? Hello! If you're referring to fixed bridge, it should last a good number of years (10 or longer depending on how you take care of it). If you're referring to actual implants, these are supposedly good for life. Hi. thanks for sharing. Mga magkano po nagastos all in all kasama yung fee ng dentist at ng bridge? Hello! Di ko na maalala actually kaso more than 5 years na. XD But the cost varies depending on which clinic you visit. I suggest you visit several to compare prices. Meron ding website for dentists where you can search based on your location. Hindi po ako dentist pero sa pagkaka-alam ko po ay three-units po pag fixed bridge. Tanong na lang po kayo sa isang dentist to be sure.